Sydney has turned on some great days for boat building. Not a lot of breeze and above average temperatures makes working outside very pleasant. 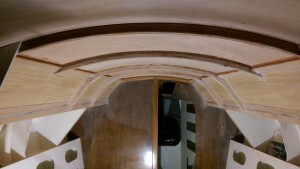 I hoped for more progress but the task of fitting the edge clamps to the cabin front was very tricky. 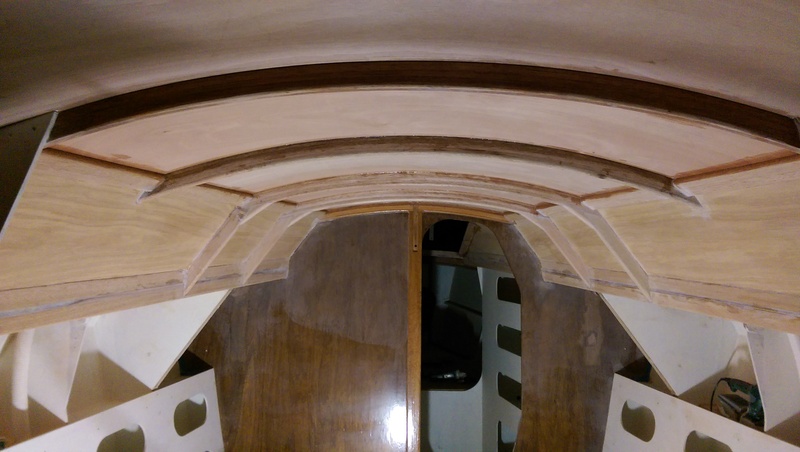 As soon as that was done I started on the first 6 mm ply layer on the cabin top and by dark had glued two thirds of the first layer in place. 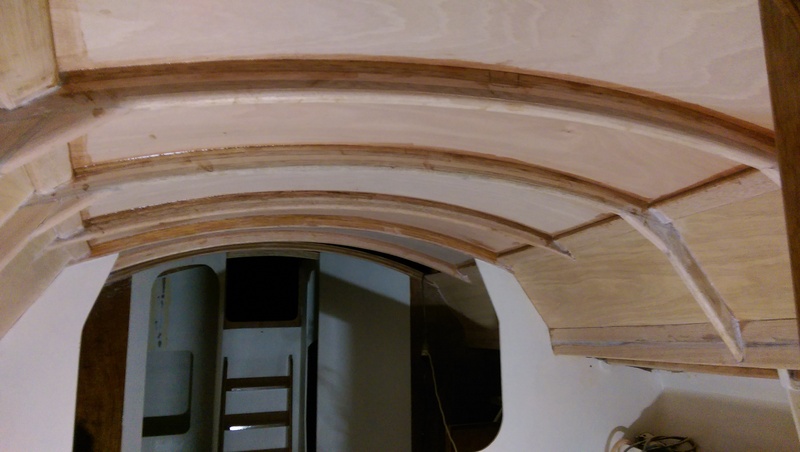 Elaine suggested I needed a post on facebook and a blog to record the progress so here it is. At the rate I am progressing I will need the hatches and window openings cut very soon so that I have some ventilation down below. I need six large port lights and three smaller ones. There are only two of the larger size in Australia and there is a two month wait for replacements so I will order these tomorrow. First layer of plywood on the cabin top makes it look very finished.